The Palestinian Ministry Of Detainees issued a press release revealing that Israel is currently holding captive 5200 Palestinians in 17 prisons, detention camps, and interrogation facilities. It said that this year witnessed a sharp escalation in arrests as the soldiers kidnapped 2450 Palestinians, including 476 children and 49 women since the beginning of the year. It said that the army kidnapped at least 600 Palestinian security and police officers, and that the number of Hamas affiliated detainees is 1,100, and 365 detainees who are members of the Popular Front for the Liberation of Palestine (PFLP), while the rest are members of different factions. The Ministry stated that Israel is currently holding captive 13 democratically elected legislators, and that the Israeli military kidnapped a total of 60 legislators and ministers (46% of the members of the Palestinian Legislative Council). 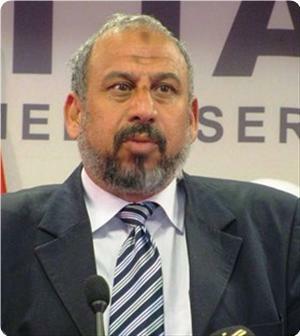 Among the detained legislators are Marwan Barghouthi, Ahmad Saadat and Hassan Yousef. Furthermore, the illegitimate Israeli policy of Administrative Detention without charges remains a systematic Israeli strategy despite repeated and extended hunger strikes by Administrative Detainees held under those arbitrary orders under “secret files” that neither the detainees nor their lawyers have access to. There are currently 150 Palestinians held under arbitrary Administrative Detention orders, while 23,000 Palestinians have been held under these orders since the year 2000. Currently, detainee Akram Al-Faseesy, from Ithna town, near the southern West Bank city of Hebron, is ongoing with his hunger strike that started on September 29, 2013. Palestinian detainees held under Administrative Detention orders started on October 10 a series of protests against their illegal detention, this includes returning meals, boycotting Israeli military courts, and a number of open-ended hungers strikes. As for children and women currently held by Israel, the Ministry said that there are 250 children and 13 women who are still imprisoned, and that Israel soldiers kidnapped approximately 9500 children since the year 2000. There are 520 Palestinian detainees who are serving a minimum of one life term; this includes detainee Abdullah Barghouthi who was sentenced to 67 life-terms and additional 250 years. He was taken prisoner on March 5, 2003. The number of detainees who have been imprisoned since before the establishment of the Palestinian Authority in 1994 is 78 detainees, 68 of them have been imprisoned since more than 20 years, and 24 have been imprisoned since more than 25 years. In its report, the Ministry said that Israel is ongoing with its illegitimate policy of depriving the ailing detainees from the urgently needed and specialized medical care, especially since there are currently 1,400 sick detainees, including 25 suffering with different types of cancer. Dozens of detainees have been shot and injured, suffering from various conditions including paralysis, and detainees who suffer from heart, kidneys and liver conditions, while others suffer from diabetes, eye diseases and conditions, Tuberculosis, in addition to other conditions. The Ministry further stated that there are a number of detainees who are dying and are not receiving the needed extensive and specialized medical attention. 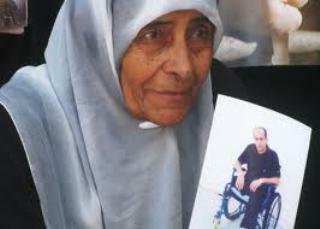 The oldest detainee held by Israel is Fuad Shobaky, 83 years of age, followed by Omar Akkawy, 64. The number of detainees who died in prison, either due to torture, or due to being shot by the soldiers during and after their arrest currently stands at 204. The latest casualties among the detainees are Maisara Abu Hamdiyya, 63, who died on April 2nd 2013, and Arafat Jaradat, 20, who died on February 22, 2013. Abu Hamdiyya suffered a fourth stage Carcinoma in his lung lymphatic, liver and spine, throat cancer extending to his vocal cords, and brain tumor. Despite the seriousness of his condition, the Israeli Prison Administration did not grant Abu Hamdiyya the needed specialized and urgent medical treatment, until it was too late. Detainee Arafat Jaradat, died at the Mejeddo Israeli prison, seven days after his arrest, he was a healthy young man from Sa’ir town in Hebron, and was tortured to death by Israeli interrogators. The Ministry said that the detainees are suffering from abuse and various violations and attacks carried out against them, especially since Israel violated an agreement reached with the detainees in May of last year following an extended hunger strike. Seventeen of the detainees who were released under the Shalit prisoner swap agreement have been rearrested and imprisoned; three of the released detainees are still not allowed back home, while dozens of detainees are still held in solitary confinement in violation of the swap agreement. Other violations include denying the detainees the right to education, provocative searches, including strip search of the detainees and their visiting families, collective punishment, medical negligence, and denying the ailing detainees the right to healthy meals that include dietary restrictions. Lawyer of the Palestinian Ministry of Detainees, Fadi Obeidat, stated that Israeli physicians at the Ramla Prison Clinic decided to amputate the left leg of detainee Nahedh Al-Aqra’, 41, from the Gaza Strip. The detainee lost his right leg after being shot by the army. Al-Aqra’ is suffering from very sharp pain in his leg due to infections resulting from his injury and due to the lack of adequate medical treatment as the only medication he received was painkilling pills. His family has not been allowed to visit him since he was kidnapped while returning from Jordan on July 7, 2000, where he received medical treatment for multiple gunshot injuries in his legs, and was sentenced to three life-terms. Israel’s recent decision to allow family visits to Gaza Strip detainees did not include detainees who are hospitalized at the prison clinic. Gaza Strip detainees were denied visitation rights after the second Intifada started in late September 2000. In prison, he suffered various complications, including infections, and his wound became septic; the doctors performed several surgeries but could not save his leg. Al-Aqra is a father of four children who have not seen him since 2000 despite extensive efforts conducted by the Red Cross. In related news, the family of detainee Mahmoud Hamdi Shabana, 40, stated Saturday that he is suffering from a sharp pain in his throat, especially the vocal cords, and that he is not receiving any medical treatment. Al-Aqra’ is held at the Negev Detention Camp; he was kidnapped more than 35 months ago and was confined under repeatedly renewed Administrative Detention orders without charges or trial since then. What’s behind the Jason Puracal campaign? World champions in arbitrary detention, the United States and the European Union, are now behind a campaign to free a person convicted for drug trafficking in Nicaragua. The US is notorious for its prisons at Guantanamo and Abu Ghraib and for its global network of secret detention centers. Its overseas accomplice, the EU, is also notorious, for having collaborated in setting up that network as well as for its own detention centers wherein tens of thousands of undocumented immigrants languish. Their support for the Puracal campaign is just one more political ploy, another clear example of the US-EU tandem at work to co-opt and corrupt the entire international human rights system. On August 2011, U.S. citizen Jason Puracal Zachary was convicted in a Nicaraguan Court of Justice to 22 years in prison for narcotics trafficking and money laundering along with 10 Nicaraguans, also sentenced to long prison terms. Nine months earlier, Puracal’s home and office had been raided by Nicaraguan authorities without a warrant, an extraordinary procedure permitted in the country’s criminal code for serious cases in which there is suspicion that the investigation risks having evidence destroyed or concealed. Using the latest technology (provided, incidentally, by the United States) traces of narcotics were found in Puracal’s vehicle along with extensive documentation supporting the investigation, which the Nicaraguan judicial authorities argue justifies the charges against him and the other members of the network in which he participated. As a U.S. national, Puracal has appealed the sentence and hearings begin this week in the district appeals court in Granada. Jason Puracal is a former Peace Corps volunteer for the United States in Nicaragua. After having met and married a Nicaraguan, he decided to stay in the country, buying a real estate franchise after his volunteer service tour ended. His arrest has led to an unprecedented international campaign in the form of a petition organized in favour of his release which has gathered more than 90 thousand signatures on the internet. The sentiment is understandable given the ease with which the situation can be turned into a parallel of the famous film Midnight Express (1978), by Alan Parker, from the screenplay by Oliver Stone. In the film, an American drugs trafficker is sentenced to 30 years in a Turkish prison. Over the decades the film, based on a true story, has become a classic of Islamophobia with all the clichés that portray countries of the non-Western “periphery” as lawless places where whites are exposed to all kinds of torture, including sexual abuse, at the hands of corrupt, ruthless and unpredictable locals. After years of enduring inhumane conditions and abandoning all hope of support from the U.S. government, Billy Hayes, the film’s protagonist, decides to escape from prison on his own. Puracal’s case has been supported by groups in U.S. such as the Innocence Project and has received support from such influential persons as the former director of the U.S. Drug Enforcement Agency (DEA) Tom Cash (who helped prosecute Colombian narcotics kingpin Pablo Escobar) and Irwin Cotler, former Canadian justice minister and Attorney General. Cotler wrote an inflammatory letter to Nicaraguan President Daniel Ortega referring to the Puracal case as one of “arbitrary detention” and “a serious abuse of justice”, according to Nicaragua Dispatch. Even the supposedly prestigious UN Working Group on Arbitrary Detentions recommends the “immediate release” of Jason Puracal. According to the version of events put forward by the defenders of Puracal, Puracal’s rights were violated by Nicaraguan authorities in their failure to produce a search warrant when entering his home and business office. They also argue that he was denied the right to a proper defense and that his prison sentence is longer than Nicaraguan law allows. Finally they allege that he has been forced to live with seven other prisoners in the same cell, and that at one point he suffered burns from a water kettle used in the prison. All of these allegations have been rejected outright by the President of the Court of Appeal, Dr. Norman Miranda Castillo, who in turn accused the U.S. Embassy in Managua of interfering in the course of Nicaraguan justice. This past May 24, the Secretary for the UN’s Working Group on Arbitrary Detentions, Miguel De la Lama, sent a letter in response to a request by Jared Genser, on behalf of the “non-profit organization” Perseus Strategies LLC. In the letter, Lama informs Genser that the Working Group on Arbitrary Detention in its sixty-third session issued a “text of opinion”, number 10/2012 on Puracal. The “text of opinion“, sent by the UN Group to the Government of Nicaragua, clarifies that the human rights body cannot comment on the charges against Puracal, nor about the evidence presented against him by the State of Nicaragua. However, given that the Nicaraguan government did not respond to the allegations made by the group within the stipulated period of two months, the Council recommended Puracal’s immediate release, and for a new trial to be conducted if deemed necessary, along with with an indemnity to Puracal for alleged damage to his person. Clearly, this letter from the UN body immediately became a powerful media weapon. The Working Group’s members are Malick El Hadji Sow from Senegal, Shaheen Sardar Ali from Pakistan, Roberto Garreton of Chile, Mads Andenas from Norway and Vladimir Tochilovsky, from the Ukraine. It is not difficult to discern the influence of the European Union and NATO prevalent in this UN Working Group. The Working Group chairman Malick Sow, is a Supreme Court judge in Senegal, a strong regional ally of France and a country lauded as a “strong and stable democracy” by the European Union. Senegal ranks 155th of the 169 countries that make up the Human Development Index, and is heavily reliant on EU aid, which exceeds 10% of the national budget. Meanwhile, the Working Group’s Pakistani vice-president is actually a law professor at the University of Warwick in England and at the University of Oslo, in Norway. It is hardly possible to expect actions deviating from the official line by a Chilean representative who, although a recognized human rights defender during the Pinochet era, today represents a state that practices arbitrary detention of indigenous Mapuche of all ages, as if it were a sport. Nor can one expect independent action from a Ukrainian trial lawyer involved in the first stages of organizing the International Criminal Court, widely criticized for its bias against any head of State identified by Washington as an enemy, and for its reluctance to investigate the crimes by allies of the White House. Lastly, the Norwegian, Andenas is, like the Pakistani Shaheen Ali, a professor at the University of Oslo’s Law Faculty, but he has also been a member of the board of a very exclusive organization, the Association of Human Rights Institutes (AHRI) of the European Union. This group, funded by the European Cooperation in Science and Technology (COST) organization, brings together some 41 universities in Europe to conduct research in the area of human rights. In December 2010, with funding from COST, AHRI conducted the seminar “International Criminal Court and the Responsibility to Protect – Synergies and Tensions.” One of the seminar themes was the suggestive name of “The Way Ahead”, a “discussion of the ways in which the “international community could coordinate their future actions” to implement the doctrine known as R2P. The Responsibility to Protect, or R2P, is an idea that NATO countries have been promoting for several years within the United Nations. The basic concept of R2P is that when a state fails to protect its population, either deliberately or through being unable to, it is the responsibility of the “entire international community” to intervene, even when this is in contradiction with one of fundamental principles of the United Nations: non-interference in the internal affairs of other States. At the UN World Summit in September 2005, a majority of member states, under pressure from NATO countries accepted the idea of R2P in principle, but recommended a more extensive discussion of the topic. Little more than five years later, that doctrine would be put into practice by NATO forces through a war of aggression against the Libyan people. Within the stretch of a few days in March 2011, Soliman Bouchuiguir of the Libyan League for Human Rights (LLHR) released a statement to an assembly of more than 70 NGOs for the 15th Special Session of the UN’s Human Rights Council beginning February 25, 2011. The session for the first time in its history decided to expel a member state, Libya, for alleged bombings against its civilian population. A few weeks later would mark the beginning of a NATO slaughter against the North African country. “To be honest, it’s was not a very difficult undertaking because all these NGOs are known to each other (…) and finally, the session of the UN Human Rights Council made it all come together in Geneva, and so the statement was launched, signed by all members,” said Bouchuiguir interviewed for the documentary film “The Humanitarian War”, directed by Julien Teil. The figures that Bouchuiguir convinced the other members of the Council of were shocking: March 17, 2011, reported 6,000 dead, 12,000 wounded, 500 missing, 700 rapes and 75,000 refugees. Just two weeks later, Bouchuiguir spoke of 18,000 dead, 46,000 wounded, 28,000 missing, 1600 sexual assaults. It was these figures that were used to justify the “no fly zone” and NATO bombing that resulted in a veritable slaughter. All these figures were invented. Remember that on March 2, the Joint Chiefs of Staff of the U.S., Mike Mullen, testified before Congress: “we could not confirm that Libyan planes had opened fire on their own population.” Around the same time, the Russian Joint Chief of Staff reported that satellite monitoring over Libyan territory since the crisis’ beginning in mid-February, failed to detect any kind of bombing. “There is no way to do it”, replied Bouchuiguir to Teil’s question about how to check whether the figures he had given the UN were true. “The Libyan government never, ever, gives information on human rights (…) so you have to do an estimate,” he said. “… his information (on the number of civilian casualties in Libya) I did not receive from just anyone. I received it from The Libyan Prime Minister – on the other side,” added Bouchuiguir referring to the National Transitional Council (NTC) sponsored by the so-called “rebels” in turn supported by NATO. “It was Mr. Mahmoud… of the tribe Warfallah. It was he who gave me these figures. I used them, though with some caution,” he adds. Bouchuiguir was referring to Mahmoud Jibril, the “Prime Minister” of the “Libyan rebels” designated by NATO and the CIA. Ali Zeidan, introduced in early March as the LLHR spokesman, would also become spokesman for the NTC. Later, when pressed by Teil, Bouchuiguir recognized that several members of the NTC were also members of the above mentioned “human rights” organization. “You know, these people in the government (the NTC), we are all part of the same group! They are members of the Libyan League for Human Rights! The Minister of Information, for example, the Education Minister, the Minister for Oil, the Finance Minister, all are members of our league! … None occupy positions of responsibility, but are members of our league,” he explains. The true scale of the slaughter committed against the Libyan people may some day be known. For now, though, through some heavily embellished figures from NATO itself, detailing the use of 7,700 missiles and bombs on some more than 10,000 flights, one can get an idea, one that would very probably pale against the horror of the true facts. As long as those in charge of the task of counting the bodies on the ground continue to show the same unethical behaviour as individuals such as Bouchuiguir Soliman and the officials of the 70 “human rights” NGOs – who without even thinking voted so that others would execute their “responsibility to bomb” the Libyan people – the truth may never be known, simply because there are interests to ensure it never does. All this begs the question: If these kinds of humanitarian bureaucrats have no qualms about inventing a genocide so as to sanction their own genocide in accordance with the interests of Western powers, why would they refrain from demanding the release of a convicted drug dealer like Jason Puracal? Many other important cases await attention from the UN Working Group on Arbitrary Detentions, such as the recently passed law by U.S. President Barak Obama in late 2011, which allows for the indefinite detention of persons without charge, and imprisonment without trial, alongside the widely reported cases at Abu Ghraib, Guantanamo, and the many other secret CIA prisons around the world. Or there is the case of the 7,000 Palestinian children that Israel has had behind bars since 2000, or the case of more than 200 immigrant detention centers in which the European Union today detains tens of thousands of people who have not committed any crime, and so on. What are the chances that the UN Working Group will deal seriously with these issues? None whatsoever, because its members are totally supportive of countries that are known human rights violators. Israel, arguably the closest ally of the United States, and it’s largest recipient of military aid, is also a de facto member of the European Union under generous trade and other agreements of cooperation and association. Nothing happens spontaneously in the corrupt world of institutional “human rights”, controlled by NATO. As an example, one should ask, who is the person charged with requesting the UN Working Group to investigate the case of Jason Puracal? Jared Genser, named by the National Law Journal as one of the “40 rising stars under 40 in Washington”, is the manager of Perseus Strategies, LLC and founder of Freedom Now, an “independent”, “non-profit ” organization devoted to defending alleged prisoners of conscience worldwide. Genser worked for the law firm DLA Piper LLP and the famous consulting firm McKinsey & Company, among whose clients are several multinational companies and governments along with their militaries. One detail in this bright star’s career: In 2006-2007 he was a visiting professor at the National Endowment for Democracy (NED), one of whose founders, Allen Weinstein, said back in 1991, “much of what we do today is what the CIA was doing covertly 25 years ago.” Another detail: amongst his official clients are former Czech president Vaclav Havel, Myanmar’s Aung San Suu Kyi, the Chinese Nobel prize winner Liu Xiaobo, South African Bishop Desmond Tutu, and the Hungarian-Jewish Nobel Prize winner Elie Wiesel. Genser is a graduate from prestigious universities such as Cornell, Harvard and Michigan. Nor should one omit from his curriculum a year spent as Raoul Wallenberg Scholar at the Hebrew University of Jerusalem. Genser is also the author of “Review and Practical Guide” for the UN Working Group on Arbitrary Detention (to be published in 2013) and co-editor of another work on the R2P doctrine: “The Responsibility to Protect: The Promise of Stopping Mass Atrocities in Our Times “(Oxford University Press, 2012). Who was the editor of that book? None other than the former Canadian justice minister who sent the inflammatory letter to President Daniel Ortega demanding the immediate release of drug trafficker Jason Puracal in the first place: Irwin Cotler. With such a backdrop, it’s not surprising that the Nicaraguan Government has not paid much attention to the Puracal campaign, nor replied to the letter from the UN Working Group on Arbitrary Detention. When a group of influential allies with close contacts within the most powerful circles of the empire begin a campaign of letters and statements to the media, this is not a social movement, but a conspiracy. One of Genser’s partners in Perseus Strategies, LLC, is Chris Fletcher, more a CIA agent than an idealistic lawyer. Fletcher is an expert on human rights and corporate social responsibility with office experience within the UN, he participated in the trials of the Khmer Rouge in Cambodia and worked for the NGO Oxfam in the United States among other organizations. Furthermore, Fletcher has been involved in “Tibet Forum, Governance and Practice”, at the University of Virginia. This university is a well-known CIA recruiting ground with professors active in national security and intelligence circles for decades, such as Frederick P . Hitz, at the university’s law school. Other temporary appointments of Chris Fletcher have been at the State Department and the World Bank. Perseus Strategies, LLC, is a company dedicated to providing legal consulting services to large NGOs, multinational corporations and governments in the field of human rights, corporate social responsibility and the implementation of R2P. Their activities often include the promotion of U.S. interests in various countries, and the preparation of various documents to justify the application of imperialist aggression under the guise of R2P against target, as in the case of North Korea. In parallel, or indeed as a special division within the organization, Genser and Fletcher operate a sui generis “social movement”, Freedom Now. This organization works to free “prisoners of conscience” from around the world by giving them “pro bono” legal assistance. It is no surprise that the list of Freedom Now defendants fails to include cases such as the Cuban-American citizens René González and his four Cuban comrades unjustly incarcerated in maximum security prisons for working to obtain information in order to prevent terrorist acts against Cuba from Miami. Incidentally, this August 13, within three days of Puracal initiating his appeal in Nicaragua, René González turned 56 years old somewhere in the U.S., unable to be with most of his family still living in Cuba. These cases are of little or no interest or concern for the UN Working Group, for Genser, or for Fletcher and other individuals like them. They are only interested in cases that promote US government interests: for now, these include Chinese dissidents, Iranian “activists”, perhaps some journalists in some dark nether region of the Third World, or convicted U.S. drug traffickers in countries like Nicaragua, or some other nation being targeted by White House smear campaigns. Genser is just one member of the Freedom Now board. Another, the president of Freedom Now, is the lawyer Jeremy Zucker, a former law clerk at the International Criminal Court and a member of the influential Council on Foreign Relations, where the elite of American power, both Democrats and Republicans, decide United States and allied foreign policy. In Norway, the Cuban-American Teresita Alvarez-Bjelland, works as a specialist “non-profit” consultant with the directors of the Norwegian-American Association, positioned to exert pressure on the UN Working Group through their strong Norwegian influence there. Peter Magyar, the attorney in charge of expanding the activity of Freedom Now in Europe, is an influential lawyer in the fields of privatization and international capital markets. Freedom Now does not defend just anybody. Their work is designed “strategically” so as to promote political changes in the countries where they have selected defendants. Nor is their work limited to the courts, but is also devoted to developing public relations and propaganda campaigns with a broad range of agents and actors. Freedom Now say they only defend prisoners of conscience. But in the case of Jason Puracal, convicted for drug trafficking, it is difficult if not impossible, to use that argument. In short, their activity is merely one more way, under the guise of human rights campaigns, to intervene with political motives in countries targeted by the United States. One of the most influential organizations sponsoring the campaign for Puracal is the group called the Innocence Project, whose mission is to protect the rights of American citizens unjustly imprisoned inside and outside the United States. In addition to media support, the organization has given Puracal legal support through its network of lawyers in the United States. This organization in 2011 received a grant of $ 400,000 for two years for overhead as part of US financial magnate George Soros’ “Open Society Foundations”, belonging to his Open Society Institute. According to U.S. investigator Eva Golinger, the Open Society Institute has been involved in the destabilization of governments that have withstood the post-Soviet colour revolution offensive. The Open Society Institute was active in Yugoslavia, Ukraine and Georgia, working closely with both Freedom House and the Albert Einstein Institution (AEI) to overthrow governments by financing media and opposition groups. While the area of most interest for the Open Society Institute is Eastern Europe and the Caucasus, it is also very active in Africa and Latin America. According to Barry C. Scheck in the New York Times late last year, the new director of Soros’ “philanthropic empire”, Christopher Stone, “has a passion to change things and a great vision and understanding of how to build institutions and re-engineer them to endure”. Scheck, co-director of the Innocence Project, is notorious as O. J. Simpson’s lawyer in the highly publicized 1995 case. Soros’s speech about open societies, free markets and his criticisms of Bush have made him popular among Democrats, but he is by no means progressive. With respect to the strategy of empire, Soros is a leading player among the global power elite. He is a member of the Council on Foreign Relations, Bilderberg, the International Crisis Group and Human Rights Watch, all organizations working to achieve U.S. geopolitical goals, often using “human rights” as a pretext for US and NATO interventions. Likewise, there is more than meets the eye to former DEA chief Tom Cash as regards his support for Puracal. Thomas V. Cash is one of the men who helped prosecute Pablo Escobar. When he left the DEA, Cash went to work at the information and intelligence consulting company Kroll Inc., becoming head of it’s Miami office. Among its services Kroll offers advice to governments of various tax haven countries on how to improve their image and get themselves removed from the anti-money laundering lists of the Organization fro Economic Cooperation and Development. Kroll hires former intelligence officers when they leave public office to go into the private sector. Kroll assigned Cash to whitewash the tax haven of Antigua by giving it a financial facelift and creating the loopholes through which contemporary Pablo Escobars can continue flushing drug revenues. What made Tom Cash fall from grace, however, was a different matter. Last June, the fraudster R. Allen Stanford was sentenced to 110 years in prison. An investigation into his Ponzi scheme found that over a period of 20 years he stole $7 billion from 30,000 depositors, promising fabulous interest rates on their deposits at the Stanford International Bank in Antigua. The case first burst open three years ago, in 2009, when federal authorities raided the offices of the Stanford Group to investigate fraud. In late July of that year, Cash left his position at Kroll. The reason? As a consultant working for Kroll, Cash gave investors the green light to invest in Stanford, but never bothered to report that his company had once been “hired and paid” as a consultant for Stanford. An electricians’ organization which lost more than $6 million in the Ponzi scheme then denounced Cash. Cash never told the electricians that Stanford had been penalized by the Financial Industry Regulatory Authority. Nor did he inform them that a former Stanford employee had sued the company charging that the scheme was all a scam. Among Cash’s credentials, according to the New York Post, he has served as chairman of the Fraud Prevention International Bankers Association of Florida. The newspaper adds that the connections amongst the circles between Cash and state police were so large that a judge assigned to the electricians’ demand against Kroll, had to give up the case because he had been a personal friend of Cash for many years. On August 16th the appeal hearing begins in Nicaragua in the case of Jason Puracal. The Granada district appeal court will decide whether or not there are enough elements to declare a mistrial in the original trial that ended with his prison sentence of 22 years based on the procedures in Nicaragua’s Constitution and Penal Code. Even so, via their networks of political interference, false US human rights groups are using Puracal’s case for blatant anti-Nicaraguan propaganda. That in its turn does very little to help Puracal’s defense. The campaign to free Jason Puracal, a convicted narcotics dealer, perfectly illustrates, yet again, the extent of the corrupt manipulation of human rights by the United States and its allies around the world. A Palestinian hunger striker in Israel’s Ramleh prison was knocked unconscious by prison guards earlier this week in the most recent abuse of prisoners, a coalition of human rights groups said on Thursday. Hassan Safadi, who has gone 57 days without food, had his head slammed against the steel door of his prison cell during an assault on him and another hunger striker, Samer al-Barq. The assault occurred after they refused to be transferred to a new cell, Addameer, al-Haq and Physicians for Human Rights-Israel said in a joint statement. “During the attack, Mr Safadi’s head was slammed against the iron door of the cell two times, causing him to fall to the ground, unconscious. Prison guards then dragged him through the hall to be seen by all the other prisoners,” it said. Safadi announced after the beating that he would no longer be drinking water. The two prisoners are refusing food to protest their detention without trial under a system Israel calls administrative detention. Over 2,000 Palestinian prisoners ended a mass hunger strike in May after reaching a deal with Israel. The deal specifically stipulated that Safadi would be released following the expiration of his detention order, but the agreement was not upheld. Two other Palestinian prisoners, Ayman Sharawna and Samer al-Issawi, have also been refusing food for 47 and 16 days, respectively. Israel’s draconian administrative detention allows for the imprisonment of Palestinians without charge or trial for renewable six month periods. UK daily the Guardian, is reporting on Monday that relations between the European Union and the State of Israel are to be upgraded. The EU is to offer improvements on both trade and diplomatic relations, including upgrades on migration, energy and agriculture. The move follows Israel’s inclusion to the Organisation for Economic Co-operation and Development in late 2010 and is a revival of plans to upgrade relations between Israel and the supra-national body that were suspended following Israel’s attack on the Gaza Strip in December 2008 – January 2009. The Guardian reports that the details of the agreement are not as significant of an upgrade as the previous initiative, and that Catherine Ashton has delegated attendance at Tuesday’s meeting to Erato Kozakou-Marcoullis, Foreign Minister of Cyprus. Ashton, the EU’s High Representative for Foreign Affairs and Security Policy, has been a vocal critic of Israel’s suppression of non-violent activism, settlement construction and Israel’s general policies towards Palestinians. Despite this, Ashton recently received criticism for refusing to speak out against, and clearly state the illegality of, Israel’s policy of Administrative Detention, whereby Palestinian’s maybe detained without charge or trial indefinitely. Administrative Detention orders are renewed every three months by the Israeli military, who are not required to present evidence as to the reasons for the order. Any justification is held in a sealed file which neither the detained or their legal representation may have access to. RAMALLAH — Israeli occupation authorities renewed the administrative detention of the MP for the district of Salfit Dr. Omar Abdel Razek for six months for the third time in a row and three days before his release. 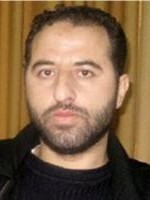 Ahrar center for prisoner studies and human rights denounced the renewal decision, where the Centre’s Director, Fouad Khuffash, told PIC that Razek was arrested in 2011 without charge or trial, and that he spent more than four years in occupation prisons after he was elected as a member of the legislative Council and during his time as Palestinian Minister of Finance. The former lecturer at al-Najah university, Razek’s administrative detention has been renewed for three times, in addition to the arrest of his son Mohammed, a student at al-Najeh University, without trial or charge at Megiddo prison few days before his final exams. Furthermore, the occupation has also arrested his daughter’s fiancé 22 days ago, just one month before his wedding. Ahrar center quoted the detainee’s wife as saying that the prison administration prevented her and the detainee’s mother from visiting him under security pretexts. Um Said, the prisoner’s wife, urged human rights organizations and members of legislative assemblies in the world to intervene immediately and urgently for the release of her husband and all the Palestinian MPs. Palestinian and international rights groups have condemned the Israeli government’s failure to live up to the agreement made one month ago in order to end the month-long hunger strike of over 2,000 Palestinian prisoners. The promises made by the Israeli government in order to end the hunger strike included an end to solitary confinement, improved living conditions for prisoners, proper medical care and increased family visits. A month after the hunger strike was declared over, however, the Israeli authorities have yet to implement these agreed-upon terms. The one item that Israeli authorities did carry out was the return of 91 bodies from the so-called ‘Numbers’ cemetery in Israel – a cemetery made up of Palestinians who died or were killed inside Israel. Although Israel has always denied the existence of this cemetery, mocking those Palestinians who insisted that it did exist, the release of the bodies constituted an admission by the Israeli government that the Numbers cemetery does exist. Those 91 bodies are not all of the Palestinians buried in the Numbers cemetery, but no one on the Palestinian side knows how many bodies remain, and Israel has refused to release any data. Some prisoner rights groups are blaming the Palestinian Authority for giving in to easily during negotiations with the Israelis regarding the hunger striking prisoners, and for failing to pressure Israel to live up to its end of the bargain. In fact, there is no mechanism by which the Palestinian Authority can force Israel to carry out its promises regarding prisoners, as Palestinians have no legal recourse to take the Israeli government to court. One of the promises made by the Israeli government was hailed at the time as a success for prisoners, but prisoner rights groups including Addameer have cautioned that it does not constitute a real change in policy. That is the decision to not extend so-called ‘administrative detention’ orders under which Palestinians are held without charges. The caveat, however, is that Israel can extend those orders if there is ‘new information’ in the case. Since the charges and trial in these cases are held in secret, with no possibility of mounting a defense, this caveat makes the change in policy virtually meaningless. The monthly report issued by the PLO’s Department of International Relations has revealed that Israel approved the construction of more than 4,300 new illegal settlement units in May. “A people under occupation” also gives details of Israeli violations against the Palestinian people and their property, which are ongoing. 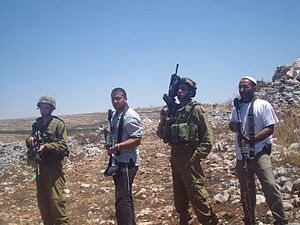 It says that the occupation army and illegal Jewish settlers uprooted 1,024 olive trees; demolished 37 houses and buildings belonging to Palestinians; and arrested 240 citizens during the month. 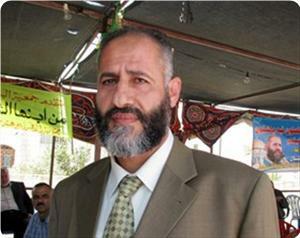 In a PNN report today, the Al-Ahrar Centre for Prisoners’ Studies and Human Rights stated that on Wednesday, May 23rd, prisoner Sameh Elaiwe, 50, was transferred from Nablus city to Administrative Detention one hour before his scheduled release date. Administrative detention is detention without charge or trial that is authorized by administrative order as oppose to a fair and just judicial decree. Foad al-Khafsh, head of Al-Ahrar, affirmed that on Tuesday the Israeli military brought Elaiwe’s case before the court, accompanied by his lawyer Fares Abu al-Hassan. The court ordered Elaiwe’s release for the following day. However, Israeli intelligence petitioned to overturn the decision after Elaiwe’s lawyer had left the court, and the Court transferred the prisoner to the administrative detention centre for four months. Al-Khafsh alleged that Israeli intelligence deliberately intends to break the spirits of the prisoners, and questioned whether the military have actually agreed to stop the policy of Administrative Detention when in fact they appear to be using it more than before the hunger strikes. More than 25 cases have been transferred to Administrative Detention since the Israeli prisons administration and the Supreme Committee for Prisoners signed their agreement on May 14th. BETHLEHEM – A deal struck early Tuesday to end the Palestinian prisoners’ hunger strike will not halt administrative detention, prisoners groups said Wednesday. The document signed by prisoners representatives states that prisoners will halt hunger strikes and “security activity” inside Israeli jails in exchange for Israeli “facilitation” on policies toward solitary confinement, family visits and living conditions. Prisoners society official Qaddura Fares told Ma’an the document outlines the core issues, while further details will be agreed in talks between prisoners representatives and the Israeli authorities. The agreement is a “successful victory,” he said, while warning that it is “not clear enough” on the issue of detention without charge. Prisoners representatives have secured clear commitments that five administrative detainees on long-term hunger strike will be released at the end of their term, while Mahmoud Sirsik is still negotiating the date of his release, Fares said. Meanwhile, Israel committed not to renew the administrative detention of all 322 Palestinians held without charge if there is no new information that requires their imprisonment, he noted. Under Israel’s administrative detention policy, prisoners can be held without formal charges for renewable periods of six months. Defendants and their lawyers are not given access to the evidence used to imprison them. AL-KHALIL — The Israeli occupation authority has renewed the administrative detention of MP Nayef Al-Rejoub for six months for the fourth time running, his son said on Monday. He said that the Negev prison administration informed his father of the decision despite the fact that his past detention order still ends after 17 days on 1st June. He said that the early decision was a clear indication that the Israeli prison service was eluding the agreement announced earlier on Monday with the Palestinian prisoners, who have been on hunger strike for four weeks, not to renew administrative detention among other articles. The IOA had arrested MP Rejoub in 2010 and renewed his administrative detention, without charge, on three previous occasions each time for a period of six months. A PIC reporter said that the Negev prison administration had renewed the administrative custody of a number of other prisoners. Israel’s Supreme Court has turned down an appeal requesting the release of two Palestinian prisoners, who have been on hunger strike for more than two months. According to their lawyer, judges on Monday ruled that their hunger strike was not a reason to release them from administrative detention despite their being in life-threatening condition. Bilal Diab and Thaer Halahla began refusing food on February 29 in protest to their administrative detention, a controversial practice used by Tel Aviv, which allows Israeli authorities to hold people, mostly Palestinians, without charge or trial indefinitely. Diab has been in custody for nine months while Halahla has been detained since June 2010. “Israeli courts do not handle administrative detention in a positive way. It shows that the intelligence services have the final word,” he added. The Israeli group Physicians for Human Rights (PHR) has condemned the court’s decision, describing it as “a death sentence” for both men. An estimated 1,600 to 2,000 Palestinian prisoners, who began an open-ended hunger strike on April 17 to protest against Israel’s administrative detention rules, the use of solitary confinement, maltreatment of sick detainees, and difficulty in securing family visits and strip searches that are imposed on visitors. 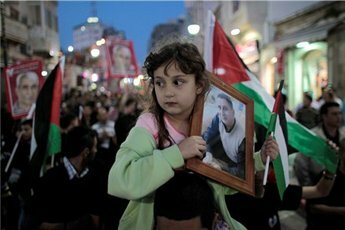 According to an April 1, 2012 report published by the non-governmental Palestinian prisoner support and human rights association, Addameer, at least 4,610 “political” Palestinian prisoners are held in Israeli jails. Addameer figures show 322 of the Palestinian prisoners are administrative detainees.